Recently, we’ve been having numerous conversations with other active members in our local Progressive communities and on more than one occasion I’ve listened to the perspective that the most progressive thing to do would be to implement a strict Marxist Socialism immediately and redistribute the collective wealth. 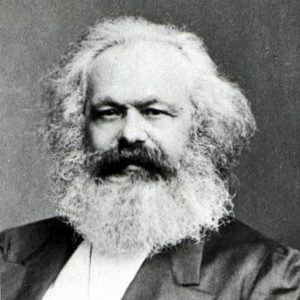 There’s no doubt that Karl Marx was a visionary thinker and economist whose insights on the modes of production helped to redefine what could be possible. But is an aggressive push for a transformation into Marxist Socialism the best path forward, or are we limiting our potential outcomes by dogmatically adhering to his vision of change? Brilliant? Yes. But can we do better? We’re going to discuss why a purely Marxist vision of socialism is not the ideal next step. Specifically, we’ll argue that strict adherence to Marxist Socialism will hinder the Progressive projects of the present and future because of some of the fundamental elements of Socialism as defined by Marx. We’ll present a new suggested framework for thinking about the Progressive projects we promote and undertake which we will explore in more detail in future articles. Marx defined the modes of production as distinct steps: Slave Society, Feudalism, Capitalism, and Socialism. Each of these regimes of production contains a separate set of structures and values. When one of these modes transforms, it occurs suddenly and rapidly, often associated with violence. Now we should take the above quote from the perspective that Marx believed violence would occur because those with wealth and power are unlikely to relinquish their wealth and power without conflict. The rapid shift of modes being a necessity is false. The truth is that successful change is a piecemeal endeavor, it takes time. It’s akin to showing up for that first day at the gym, reading the first chapter in your next book, or your first date with a future partner. We hear so much about “unicorn” companies when they sell for millions of dollars, but even their success is the culmination of significant time and effort. As Progressives, it weakens our overall position to argue for the immediate and dramatic redistribution of wealth as outlined in the Marxist framework. Even if done democratically, this redistribution radicalizes the Progressive message and vision in the minds of those who do not yet understand the definite possibilities to be recognized through an evolution in the social structure. If we are to succeed in building a new vision of our society, we should consider the perspective of all segments of our collective. The data is clear, the divide in ideological beliefs in the U.S. is widening. Because of lack of access, specific portions of our society are genuinely fearful of their present and future. Radicalizing our message only gives reason to fear more. Instead, it is possible to shape their worldview of what could be possible if we moved to a more transformative way of living. We can accomplish this through Progressive projects such as a more socialized base living standard, increased access to information and opportunities, and a fundamental reshaping of our educational institutions. Politically a dramatic shift in wealth is both unlikely and unfeasible. If this vision were realized immediately it would likely result in violence throughout society, something we must avoid at all costs. The Marxist version of socialism contains an economic system of exchange that is not directly applicable to our current economy. When Marx described his modes, the most advanced form of production was manufacturing. Low skilled, highly mobile labor. So long as you could pull the lever, lift the thing, and not touch the lightning bolt sign you got the job. The vast majority of opportunities at the time left little to no room for creativity, exploration, or innovation. The 2018 economy is significantly different. We are in what could be labeled a new Knowledge Economy. The Knowledge Economy is an economic system where the most advanced form of production is highly skilled labor that is easily transferable between organizations. Our modern example being Silicon Valley. This type of work has replaced industry/manufacturing for the title of “most advanced.” Most advanced being summed as greatest returns for input. The Knowledge Economy exists in every sector of our economy, but only in the grasp of a select few. Harvard professor Roberto Unger argues that vision of the Progressives should be to create systemic reformation that would open access to these most advanced forms of production to the masses. By applying a strict Marxist approach to the means of production, we miss a significant opportunity to create an entirely new way of imagining labor. Let’s examine a scenario where you have an innovative idea for a product, service, or technology that could transform society. How much further could that vision be expanded if you had access to the most potent AI available, the latest research, or the existing best practices of the industry at this moment? If our goal is to be prosperous as a collective human race the most logical path forward would be the expansion of access for all people. There is no legal restriction to having only one single form of market. The idea that governments and economies have a unique and necessary style is false. If we were to be open to social, economic, and political alternatives, we could imagine a system that held both a capitalist and a socialist market. Through government, we could build a socialized base level of society that maximizes everyone’s potential to explore and innovate in the life they want to lead by removing the fear of failure leading to poverty. In the middle, through the more “capitalist” aspect, we would be creating incentives for the innovators who create change. I put capitalist in quotes because the motivation need not be necessarily tied to money only, which is according to Professor Unger, is a “weak social glue.” Finally, at the highest level, we would see government intervention – socializing institutions that become deeply intertwined with the operation of society. Examples of industries that will be regulated to the social economy upon reaching large scale integration would be food distribution, transportation, energy, education, housing, mineral rights, information, infrastructure, connectivity/access, and space exploration. Examples of industries that could likely remain within the capitalist sphere could be entertainment, luxury, consumer goods, innovative technologies, and small independent ventures. In this hybrid model, we would also want to redefine what money is capable of within our society, taking care to neuter its influence on our political sphere and its ability to oppress others. If we believe we can create a future that opens up access to opportunity and humanity for all individuals, then we should explore all possibilities and never limit ourselves to a single and limiting form of transformation. Marx described scarcity as something that was able to be overcome. In a sense, we can all visualize what this would look like and understand what deficiency looks like in regards to a capitalist system. Marx’s vision of ending material scarcity is possible and could be achieved by deepening the connections between people and systems on a global scale while collaboratively investing heavily in the technologies to improve the logistics of the said operation. But will this solve scarcity? No. Even if we switched to a globally networked system tomorrow scarcity would not end, it would just manifest itself in new forms. Fueled by the exponential growth in technology humans will continue to find new problems to solve and areas to innovate. Therefore we should build a society that maximizes opportunities to experiment and innovate in every aspect of human life. If we agree with the previous statement, then we should abandon the notion that we must have a singular form of socialism to succeed. By raising the potential of every individual we create the foundation for a society that can collaborate and cooperate on a much deeper level than ever before. To Marx, work was a hateful burden to overcome. For much of the world’s population that is a painful truth. But this only because of the values and structure that we have created for ourselves, or we could argue, that has been designed for us. Like anything humanmade, it can be undone and improved. Work doesn’t need to be a hateful burden. The right kind of work could become an environment for agency and empowerment for individuals who grow as they transform the world around us. Work would require the same socialized base structure mentioned earlier, but again our imagination need not be limited to the abolishment of work. Instead, let’s frame it as the expansion of what we define as being human. The government could heavily invest in research and technology development to speed up the process of automation as no human should have to do the job a machine could do. Instead, humans should focus on the creative and the new. By creating this level of access, we provide a platform of maximum opportunity for the collective. Marx was a brilliant man and a founder of modern economic theories, but he was also a product of his time. His ideas have laid a tremendous foundation to build upon, but his revolutionary reimagining of society need not become a dogmatic anchor. Instead, we can build upon the founding principles while expanding on what we envision as the next great society. As we continue our collective journey to expand humanity lets commit to staying focused on transformational vision without binding ourselves to a singular limiting way of manifesting that vision.